Location: The lovely little town of Tepoztlán in the state of Morelos, 54 kms south of Mexico City and less than one hour's drive from Cuernavaca. northernmost end of the main street, Avenida del Tepozteco, a little north of the blue "11" on Street Map below. Taxi stand located on Av. 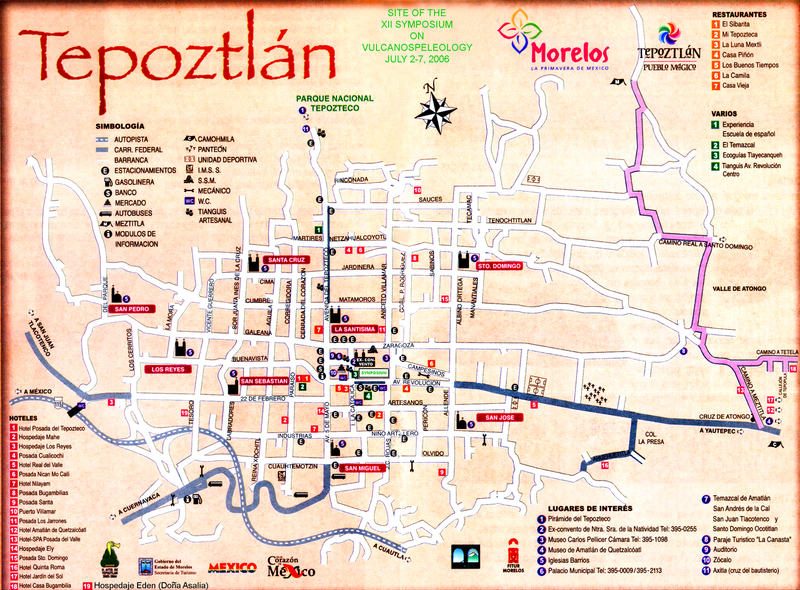 del Tepozteco, at the western side of the main plaza in Tepoztlán, (across from the blue "10" on Street Map below). Contact Ramón for more information. No form is necessary. Please communicate with: ramone@cablevision.net.mx , Send Ramón your name, address, Telephone number and email address and tell him the date on which you transferred funds to his account (see below). PAY THE REGISTRATION FEE ONLY, not hotel, post-symposium field trips, etc. Residents of USA/CANADA: Please pay in Tepoztlán, upon registering. Bank transfers from the USA/CANADA to Mexico appear to be unreliable or impossible these days thanks to a new system curiously named SWIFT. Note: Do not try to transfer money from the USA or Canada: just pay upon registering at the Symposium. NOTE: The list of abstracts accepted is now on line! Maximum text of 250 words in English. poster rather than a presentation, write "POSTER" below the title. Use single spacing and left justification. Save as an .rtf file (preferred) or .doc file (readable in a PC) and attach it to an email. Send email and file to symposium@saudicaves.com with "abstract" and sender's last name on the SUBJECT line. Abstracts must be received before March 31, 2006. You should receive a reply within one week after sending in your abstract. If you don't, resend it or contact the organizers. 25 MINUTES FOR PRESENTATION AND DISCUSSION. white illustrations) accompanied by a CD (illustrations in color with additional material permitted). The book and CD will be sent free of charge to registered participants. IMPORTANT: Read the instructions in HOW TO SUBMIT FINAL PAPERS. Submit your final paper to J. Pint at the Symposium, any time before the closing session. NEW! CALL FOR PAPERS FOR THE X AND XI SYMPOSIA (ICELAND AND AZORES): we will publish papers written for these past symposia along with submissions for the XII symposium. Contact J. Pint for more information. Language: The official language of the Symposium is English. However, there will be "as-simultaneous-as-possible" live translation into Spanish of selected presentations. If you would like a certain presentation to be translated, check the list of abstracts on this web page (After April 15, 2006) and relay your preferences for translation to Ramón (ramone@cablevision.net.mx ). IDIOMA: El idioma oficial del Simposio es el Inglés. Habrá, sin embargo, traducción simultánea (no necesariamente profesional) al español de algunas de las ponencias. Si a usted le interesaría la traducción de alguna ponencia en especial, vea la lista de resúmenes que aparecerá aquí después del 15 de abril de 2006 y comuníquese con Ramón Espinasa (ramone@cablevision.net.mx ). POSTERS: Poster size is limited to 60 cm in height (no problem for width). Travel Information: How to Reach Tepoztlán with a smile on your face. CAMPING is available. Contact Ramón. ECONOMY HOTELS: Check the street map above for hotel locations. SERVICES: 8 rooms with private bathroom, garden, parking, Cable TV. 2. Hospedaje EDEN: Similar to Hospedaje Los Reyes. Lava-tube experts in Mexico have long been searching for the Master Tube feeding the Guespalapa lava flow. A few weeks ago they found it! Check out the pictures and click here for the story. the right to make any changes needed according to circumstances. NB! The SCHEDULE OF PRESENTATIONS AND POSTERS is now online! Sunday, July 2: Registration; Inauguration Cocktail; Opening ceremony with presentation on the general area. This will be held at Restaurante Axitla, located at the northernmost end of Avenida del Tepozteco (main street), at the foot of the trail up to the Pyramid of Tepozteco. Registration opens at 5:30 PM and the Inaugural conference at 7 PM, followed by a toast and canapes. Here is what Frommer's says about the restaurant: "Axitla is not only the best restaurant in Tepoztlán, but also one of the finest in Mexico for showcasing the country's cuisine. Gourmet Mexican delicacies are made from scratch using the freshest local ingredients. Specialties include chicken breast stuffed with wild mushrooms in a chipotle chile sauce, chiles en nogada, and exceptional mole. There are also excellent steaks and fresh seafood. As if the food weren't enough -- and believe me, it is -- the setting will make your meal even more memorable. The restaurant is at the base of the Tepozteco Pyramid, surrounded by 3 acres of jungle-like gardens that encompass a creek and lily ponds." The pyramid honors Tepoztécatl, the Aztec god of harvest, fertility and pulque. A two-km walk takes you to the pyramid and a panorama of Tepoztlán and the valley. 1. A tephra cone and associated lava-tube-bearing flows. 2. A series of small spatter cones and associated tubes and vent caves. This involves a 3 km walk to a series of small vents or spatter cones (the highest only 20 meters tall) called Los Cuescomates. 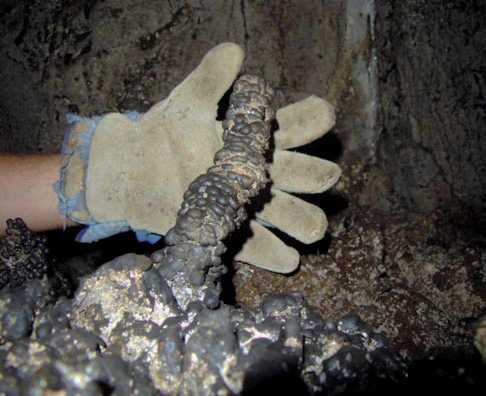 Some of the lava flows emitted by these vents have small lava tubes and tree-trunk molds. Charcoal from one of these molds gave an age of only 730 years, making it the youngest eruption in the Sierra Chichinautzin. Some of these vents have vertical craters up to 15 meters deep and a very narrow fracture passage connects three of them. 3. 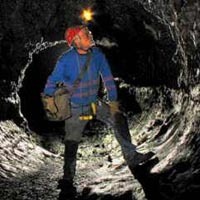 A through trip of Cueva del Diablo, a two-km-long Master tube and associated anastomosing outflows. Cueva del Diablo has interesting structures such as canyon and superposed passages, levees, etc. This is the lowermost and the most easily accessible cave in the Suchiooc lava flow. 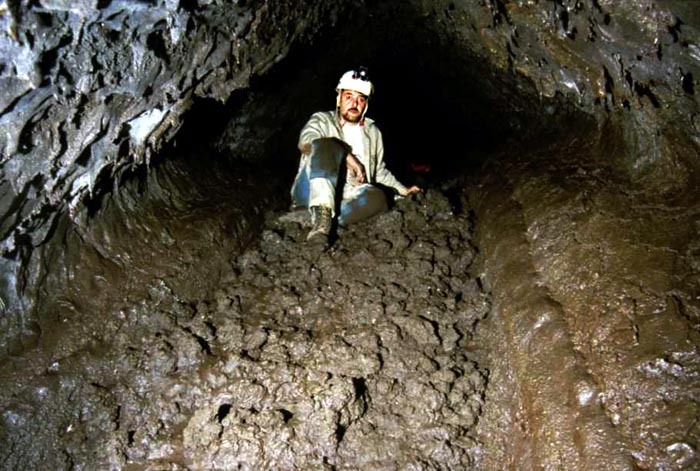 (if not, a wire-ladder will also be available) since there will be pitches up to 15 meters deep on field Trip 2.
cave food is not included, and each should buy and carry their own munchies and drinks. Tepoztlán has several hundred "miscelaneas" where people can buy stuff. Tuesday, July 4: Presentations and/or poster sessions. NB! The SCHEDULE OF PRESENTATIONS AND POSTERS is now online! 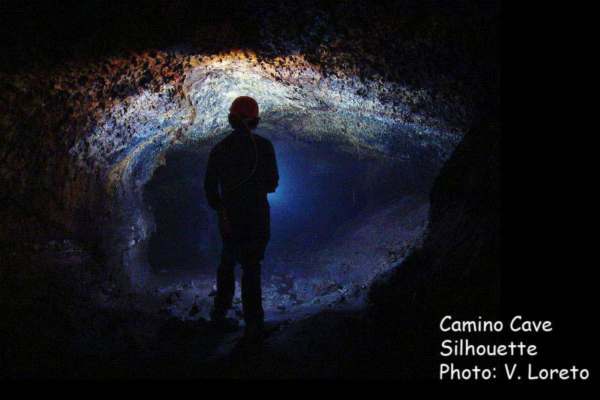 Wednesday, July 5: Field trip to Chimalacatepec (deepest lava tube in continental America). Thursday, July 6: Presentations and/or poster sessions. Session of the UIS Commission on Volcanic Caves. NB! The SCHEDULE OF PRESENTATIONS AND POSTERS is now online! Friday, July 7: Field trip to Iglesia lava tube (the longest tube in the Americas); Final Banquet; Closing ceremony. IGLESIA CAVE, about 6 kms long, is only a small part of the Sistema Tlacotenco, with over 20 km of known lava tubes. We will spend all day inside the cave looking at primary structures and discussing their interpretation. The cave has almost no breakdown and with most of the primary structures perfectly preserved, it is probably the best cave in the area. Secondary stalactite deposits of possibly calcite or opal decorate one section. A few crawls are involved, but this is mostly walking passage, of a complex, anastomosing nature. Click here to see a report and pictures. Note: The priceS of the following trips are subject to change depending on the number of participants. 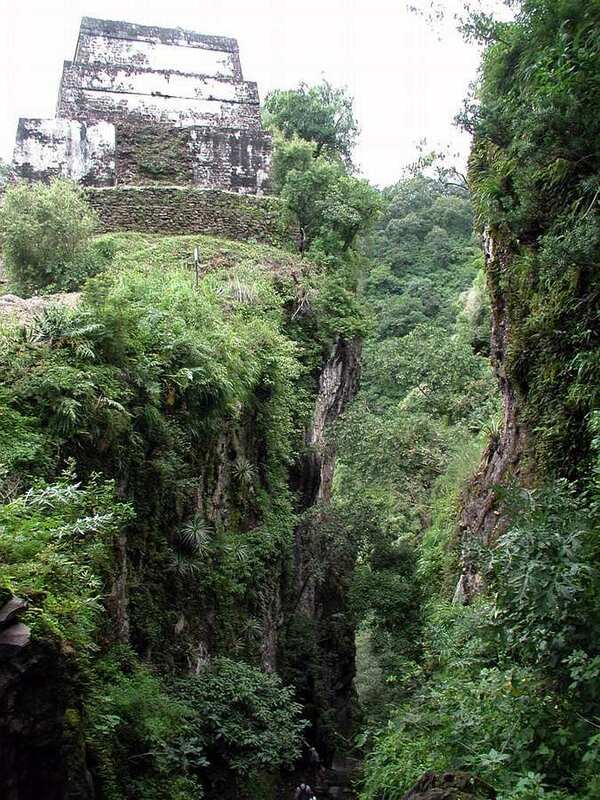 Cueva Pelona is an excellent example of a Master Tube, with superposed levels, rafted balls stuck in upper levels, and especially with the evidence of thermal erosion in the canyon-shaped passage between its main entrance and its dramatic skylight entrance. 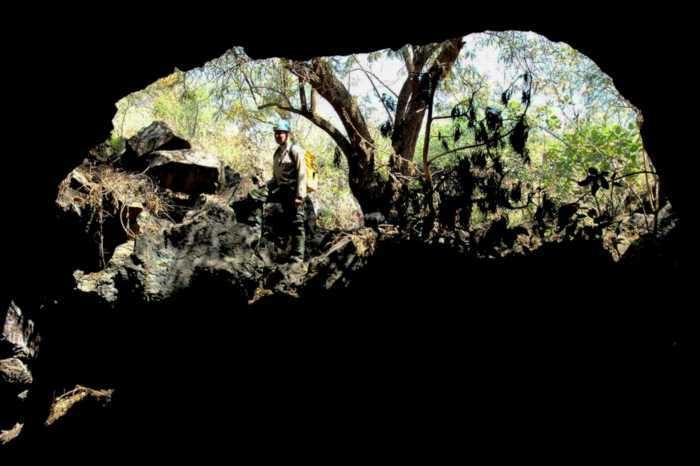 This cave has a small entrance pitch of eight meters. Post-Symposium Field Trip B, Sunday, July 9: Cueva del Ferrocarril. COST: $25 U.S. This is North America's longest (over 6.5 km) and most complex lava tube. Check this space in the coming months for pictures of this unique cave. Archeological site and related lava tube of Cantona, Crater and lava tubes of El Volcancillo, and Cueva de la Orquidea, in the center of Jalapa, the state Capital of Veracruz. COST: depends on number of participants (at least 15 are required). We will travel by bus to Perote in the state of Veracruz, making field stops along the road at the base of the volcanoes Popocatépetl (5,450 masl, presently active), Malinche (4,700) and Citlaltépetl (5, 690, Mexico's highest mountain). We will also stop at the Alchichica Maar and possibly visit the Cantona archeological site on the way, if there is interest. We'll definitely see Chinacanoztoc cave at the archeological site. We will spend the night at a hotel in Perote and the following day we will visit the craters and lava tubes of El Volcancillo, a small 1,200-year-old volcano which emitted very long `a`a lava flows. The tubes we will visit are developed starting right from the crater, which has vertical walls over 100 meters deep and is about 200 meters in diameter. They contain beautiful wall levees and superposed tubes and an inner ladder pitch eight meters deep. 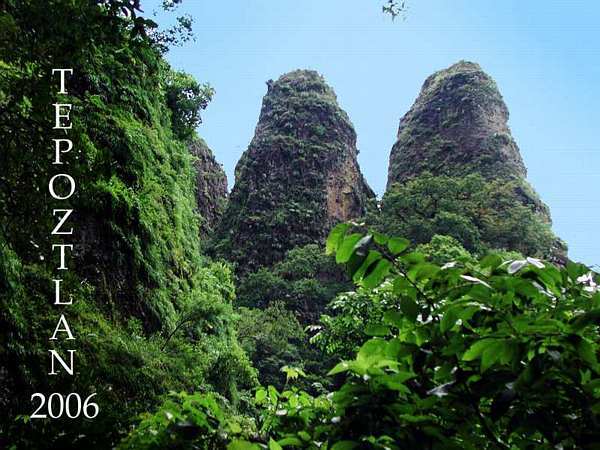 Next, we will explore Cueva de la Orquidea (Orchid Cave) which is actually located inside the state capital of Jalapa. From here, participants can continue on their own towards the city of Veracruz and other touristic places or return to Mexico City on the bus. 11 July: Cantona archaeological site and the related Chinacamóztoc cave. Sleep at Perote hotel. 12 July: Volcancillo and its lava tubes. Travel to Xalapa and sleep in hotel. Here's a report on a recent survey trip to CUEVA PELONA and a tour through IGLESIA CAVE, both with plenty of pictures.